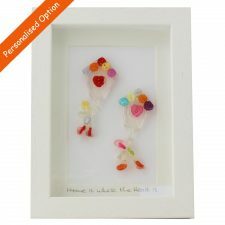 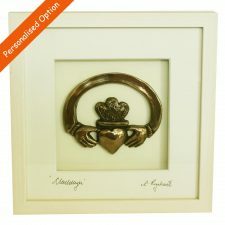 Are you looking for a personalised gift with a family history theme? 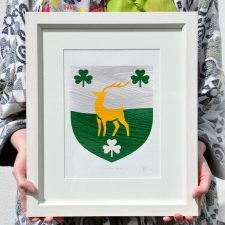 A ‘Painted Clans’ family coat of arms is the perfect unique Irish gift. 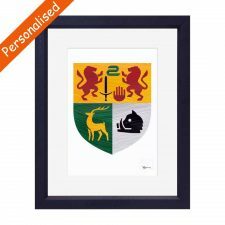 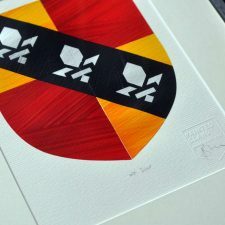 This beautifully simplistic family crest of vibrant modern heraldry is sure to become a treasured family heirloom. 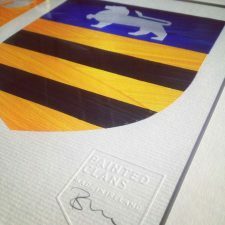 The family crest is researched, then a redesign is sketched to simplify and modernise the symbols for a minimalist style, while keeping the original elements of the crest. 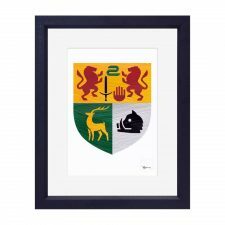 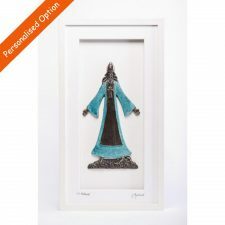 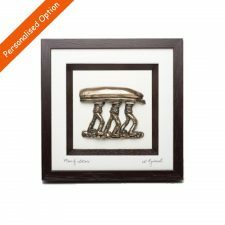 The crest is then digitally drawn to ensure clean crisp lines and hand-painted using fine acrylic paint and a series of masks, the customised details are added, rubber embossed and signed by the artist, then framed for the finished Irish gift.